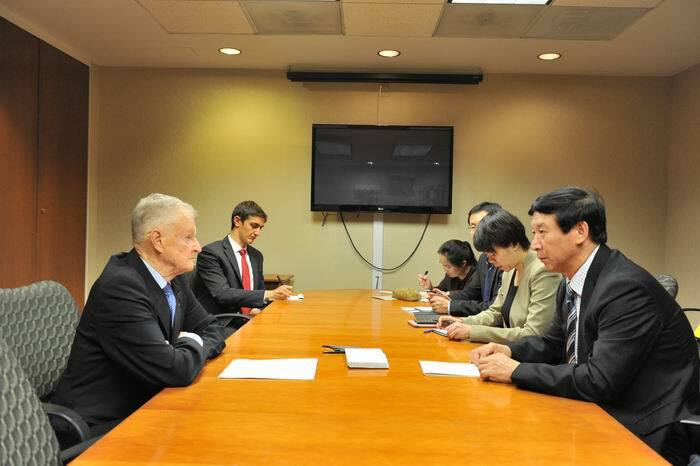 On May 29, 2013, CCCWS President Dr. Yu Hongjun met with Dr. Zbigniew Brzezinski, former Assistant for National Security Affairs of the <?xml:namespace prefix = st1 />US. The two sides exchanged views on the forthcoming meeting between the Heads of the States of China and US. Also at present of the meeting were CCCWS Deputy Director-General Dr. Jin Xin, and Mr. Zhou Rongguo, Counselor in China’s Embassy to the US. CCCWS President Dr. Yu Hongjun held discussions with Dr. Zbigniew Brzezinski, former Assistant for National Security Affairs of the US. 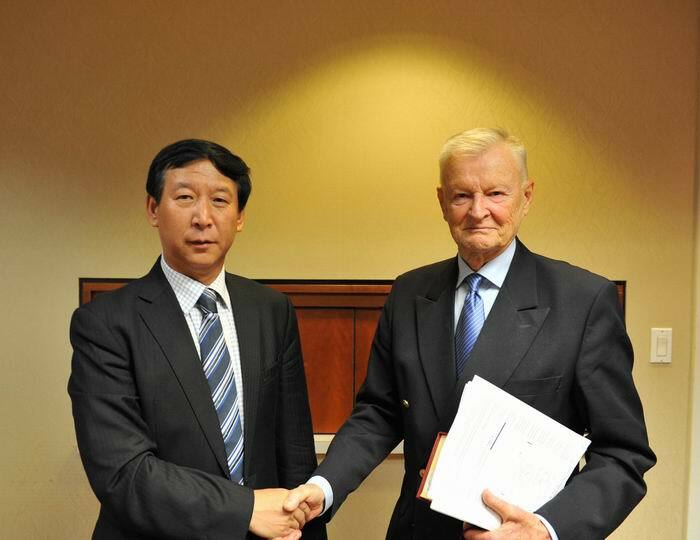 CCCWS President Dr. Yu Hongjun met with Dr. Zbigniew Brzezinski, former Assistant for National Security Affairs of the US.